Unusual and even extraordinary product photography ideas are what make many leading brands stay demanding and make people talk about their creative product shots and buy their products. Let me tell you how to do product photography like creative product photographers do. I’ve gathered 20 original product photography techniques and ideas for any product. Product photos belong to a branch of commercial photography which is about advertising a product. There are several classical ways of shooting products: product photography on a white background, ghost mannequin, lifestyle product photography, motion images, photos of the product line, tabletop photography, photos of the product being packed, 360 product photography, etc. This is an example of creative product shots that are taken right before something unexpected: an explosion, fall, etc. That is why you as a photographer should manage to catch the moment in the second before it happens. This product photography idea is a good way to make your product look dramatic. Use the colored smoke if it is suitable for your product design. To make smoke more accurate, use Photoshop brushes. You may hang some goods to make them look three-dimensional. Hang a product using a line, wire or rope. Then remove background or a line from the photograph of a floating product in Photoshop. If you need extraordinary product photo for a fashion magazine or billboard advertising, what can be better than funny surrealistic illustrations. Such photographs are typically taken in the studio using special product photography lighting kit and digital drawing techniques in Photoshop. Send your product photos to FixThePhoto and receive professional product photo retouching services from $2 per photo. Deep color correction, background removal, and photo manipulation services of high-quality. This creative product photography idea is realized by means of short exposure and quick photographer’s and assistants’ actions. The photos are striking for a lot of reasons, but the thing that sticks out at first is how adding motion makes images pop. Give your product character and show the features that make it unique. Use different product photography ideas and creative lifestyle to highlight the product usage. In addition to the familiar white background, I frequently use the background tone that is in harmony with the color of my product. These two product photographs are a good example of colors combination. You may combine the background depending on the product color increasing the image contrast. It is pretty a specific idea for product photos and not everyone decides to use it. It attracts people’s attention and evokes pity and interest to the product. It is better to get a shot at the beginning of product crash. You may use smooth plain covers with high reflectivity as the surface. For example, your product photos may be taken on an average ceramic tile. Make sure, you work in good lighting. In order to take such image, it is necessary to choose the right angle and lighting to get excellent reflection. This product photography idea has something to do with putting an object into the sand, water or other materials when you intend to put an accent. You may also use different tiny thematic items in which the product may drown. Grouping product images creates almost the same effect as zooming. Comparing several products in one photo a customer understands their main differences, volume, shape, size and other features. Moreover, it can persuade your potential customers to buy the whole kit. To take this kind of product photos you have to put a camera at different angles. However, you should be careful while shooting obscure angles in order not to misrepresent the product. Put other products relatively symmetrical mixing them up with different small details. Who said that the best product photos can’t be funny? The out-of-the-box approach to your products’ usage is a fun way to relate to your younger audience. Showing the contrast between the background and the product looks fashionable. But the main difference of this photo is an angle between the surface and the background, which creates a three-dimensional image of the lipstick. This dimensional curved shimmering paper underlines the color and the dimension of the product. This product photography idea requires a special background. It may be usual clay, snow, sand, mastic or similar material. Be as much creative as you can. Here Photoshop is you best friend who will help to realize even the craziest product photography ideas as to shape ketchup in the form of a tongue or a lipstick in the form of ice-cream. The human element, like hands or legs usually makes the image more weird and mysterious. If you do not have a model, you may “add” the hand in Photoshop. You also need to pay attention to the three/two-colored background, which gives three-dimensional product image and appropriate shadow fall. This technique is often used in makeup product photography http://fixthephoto.com/makeup-product- photography.html. Cubes, serving as a surface emphasize statics and dynamics. Carelessly scattered cosmetics accentuate the product among typical posed photos and make the image surreal. Use bright and monophonic backgrounds. Add several product in the same color pallet but with different tints. The best creative product ideas are those that did not appear earlier. For instance, this photograph depicts food in the form of cubes. Dutch painters invented this food photography idea for a Dutch newspaper. They cut raw products into 98 ideal cubes 2.5 х 2.5 х 2.5 cm in size, placing them symmetrically to each other, thereby creating a beautifully decorated food composition. If you trust professionals or wish to see new and creative product photography ideas from experienced digital artists and photographers, you can look through this list of 10 best product photographers from around the world. Lucas has an individual style for each product shot. All of the product images have their own unusual peculiarities: different colorful backgrounds and extraordinary details. A famous Scottish photographer who works with stage images which have allowed him to establish a reputation for both creative product photography and promotional advertising photography. 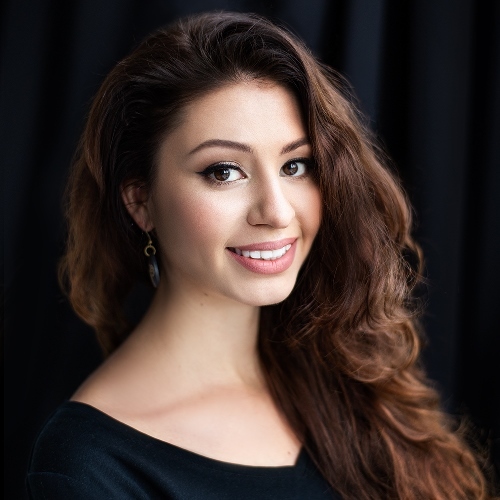 He is flexible and able to take photos in his home studio or on location, using his eye to create the ideal backdrop and lighting. Timothy Hogan is a very famous product photographer. He emphasizes the brand and image of the company in each of his product pictures, adding elegance and brilliance to them. He inspires clients and colleagues with his unusual product image photography and enjoys sharing his professional experience. Harold Ross also extensively uses statics in his product photos. Due to the professional image post production, his works look more like old drawings, or still life picture rather than modern shots. Therefore, his interesting product photography style is quite memorable and can't be imitated by others. Karl Taylor takes professional product shots. In order to implement her object photography ideas, she uses the dynamics of the pictures and photographs hanging products. Looking at this photo of cans with paint you can see how professionally she works. Sam Kaplan's creative product photography is about laying out small products in various drawings and patterns, keeping the identical distance and symmetry. This technique gives the most ordinary products an original and beautiful look in the product images. Zachary Goulko most often uses a white background for product photography. Judging by the quality of the images, they weren't taken on the white paper background, but in a special lightbox with professional equipment. Besides, he involves still life in his product shots. His product photography ideas result in clean and precise images, which helps him stay top notch in commercial photography. Peter often uses statics and dynamics in product images to emphasize the shape and harmony of an object. His favorite product photography techniques are the frequent usage of shadows and reflections. He plays with them to get an unusual effect or illusion. In his product photos, Matthew likes to emphasize the list of ingredients and a product sphere of application. As for his product photography background ideas, he often uses the place where the product is used or anything related to it. This product photographer uses the background corresponding to the color of the product. Besides, he involves water into a shot as a background using the dynamics. He has a special approach to each photo depending on the type of a product. 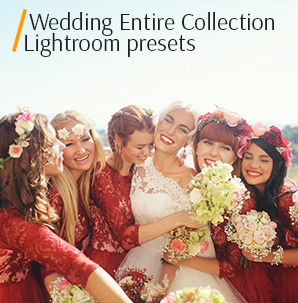 If you’re going to edit your creative product photos in Lightroom, I suggest you downloading these FREE Lightroom presets. Make your images bright and professionally edited fast and for free. This is the best and fastest way to make whites really white. It’s very necessary for professional product photos on white background. It will help you remove unpleasant yellow or green shades caused by light. Make your products look saturated and bright in several clicks. 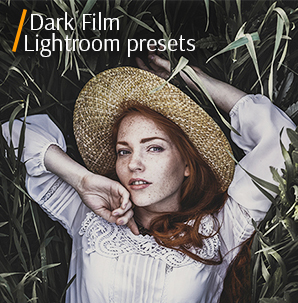 This free product Lightroom preset will not damage the real color of your subject. It will make it juicy and fresh. 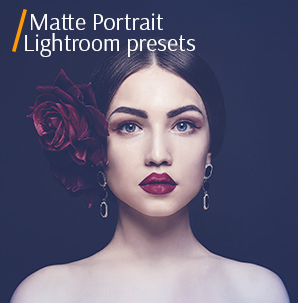 If you product photo lacks colors but you’re afraid of making it too oversaturated, download this Lightroom presets for free and adjust shadows, blacks, and brightness in several clicks.